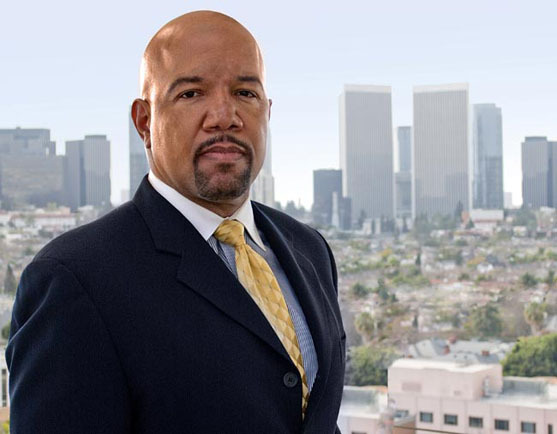 Marshall Hennington is the founder, President and CEO of Diversity Enterprises, Inc; a nationally recognized multicultural Diversity Consulting and Training Firm headquartered in Beverly Hills, California. Widely respected and recognized as one of the nations premiere Diversity Consultants and Trainers, Dr. Hennington built his reputation on a personal commitment to abolish oppression as it affects the productivity, morale and profitability of organizations and society as a whole. Dr. Hennington works with public, private, educational and non- profit corporations to implement critical changes within the workforce. He has been on the frontlines of the corporate diversity training movement since it’s inception for over thirteen years. Dr. Hennington is the only African American Diversity Consultant that offers his expertise to corporations as a nationally recognized Trial and Jury Consultant. Dr. Hennington has a vast knowledge of business and employment law issues and he trains employers to become more cognizant of their workplace environment and how their actions and/or inactions can result in employee’s filing legal claims against their company. Dr, Hennington received his Ph.D. and MA Degree from the California School of Professional Psychology in Clinical Psychology and has an Educational Masters Degree in counseling psychology from Columbia University. He has received a B.S. Degree in Social Science from U.C. Berkeley. He has been featured in Newsweek Magazine, The Los Angeles Times, Saint Petersburg Times, New York Times and Wall Street Journal. He has also been featured on NBC, ABC, CBS, MSNBC, CNN and Court TV. Dr. Hennington is a published author and was recently the key note speaker at the Annual American Bar Association convention in Los Angeles California. Diversity Enterprises is a Certified Minority-Owned Business by the Southern California Minority Business Development Council (SCMBDC). 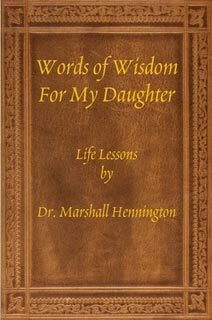 "Words of Wisdom for My Daughter"
Dr. Marshall Hennington decided to write this book for his daughter, Allegra, to give her the gift of wisdom, compassion and perseverance. He recognizes that life is what we all make it to be. All of us have a purpose in our lives, we just have to find it and maximize it. It is through his wisdom gained from his life experiences that he is able to share his insight with his readers. He appreciates the love and support he has received from them.